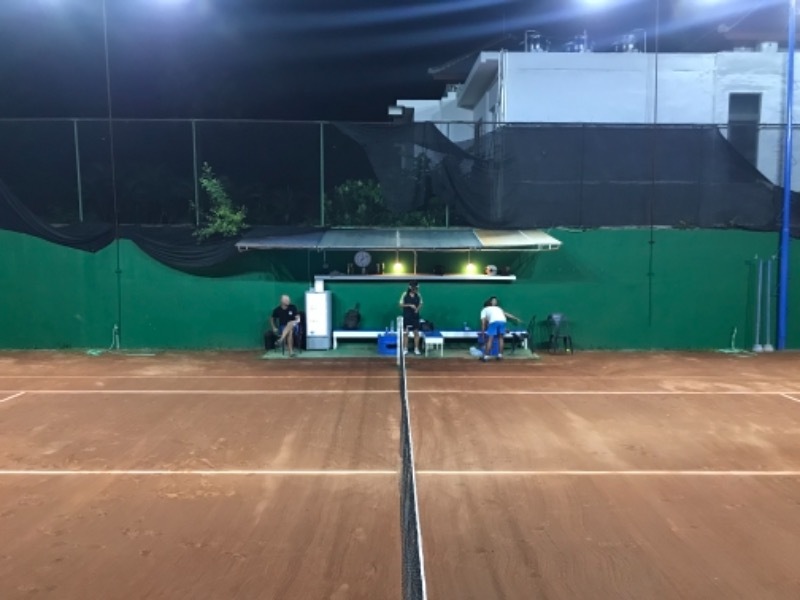 BCCT really means a group of tennis enthusiasts (or some people might say ‘fanatics’) who have managed to lease a private clay tennis court from the owner. While an hourly fee is required to play on the court, we’re non-profit and the fees are used to cover basic overhead; maintenance, staff wages, etc. It’s extremely informal here. We’re not in a ‘country club’ setting – we do offer some basic amenities like drinks, new cans of tennis balls, grips, and so on. But there are no waiters or waitresses prancing around – you get the idea. The court is open to the public and we are happy to have you come and play. The court, located in the heart of Seminyak, has been a staple for local players, expats and visitors to the island for nearly a decade. Players are required to pay for their bookings at least 24 hours in advance to guarantee the booking, unless other agreement. You may do this in cash at BCCT tennis court, to a local bank or by PayPal (fee of 4% will be added for PayPal payments). Please contact [email protected] for any payment questions / requests. All pre paid hours should be used within a 3 months’ period or will be forfeited. Players should ‘create an account’ on this page and will receive login info + password once confirmed by an admin. Bookings not paid in time limit will be cancelled and court time released. Please read our HOUSE RULES regarding cancellation and others.